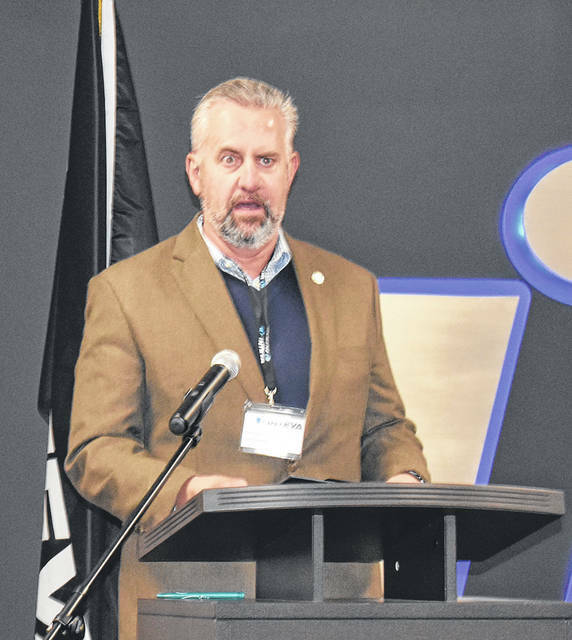 State Representative Mike Henne spoke at the ribbon cutting ceremony at Inteva Interior Systems in Vandalia on Friday. 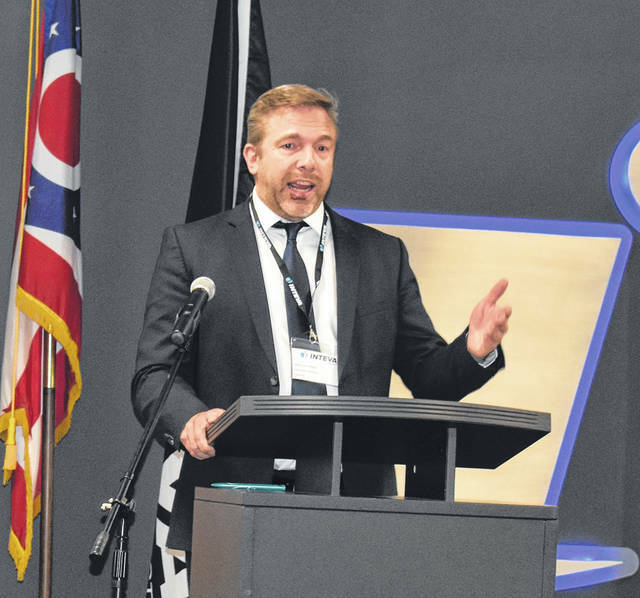 Vandalia Vice Mayor Richard Herbst thanked Inteva management as well as Jobs Ohio, the Dayton Development Coalition, and Montgomery County for partnering to make the company’s expansion possible. 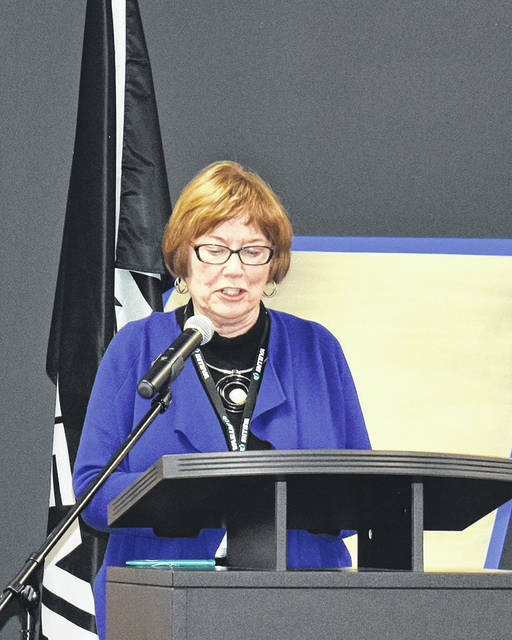 Montgomery County Commissioner Judy Dodge spoke prior to the ribbon cutting at Inteva Interior Systems in Vandalia on Friday. Inteva Products Chief Executive Officer Lon Offenbacher spoke prior to a ribbon cutting at Inteva Interior Systems on Friday. 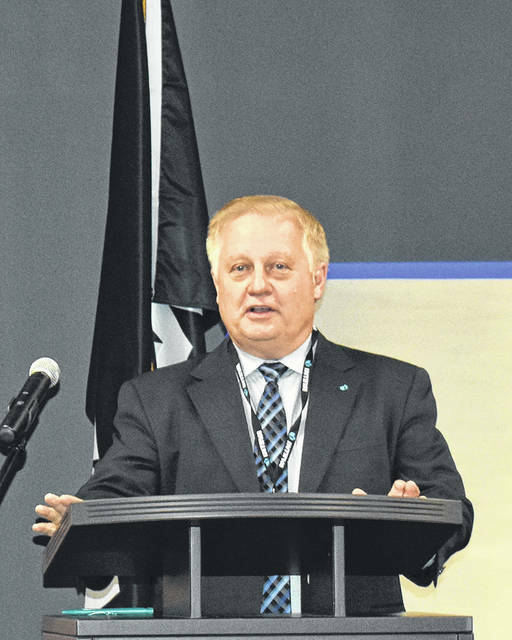 Inteva Interior Systems Executive Direct Marco vom Wege spoke prior to a ribbon cutting at the company on Friday. Representatives from the State of Ohio, Montgomery County, the City of Vandalia, Jobs Ohio, and the Dayton Development Corporation joined executives from Inteva Products to cut a ribbon to formally mark the beginning of an expansion that will add 35 jobs at the company’s research and development facility in Vandalia. 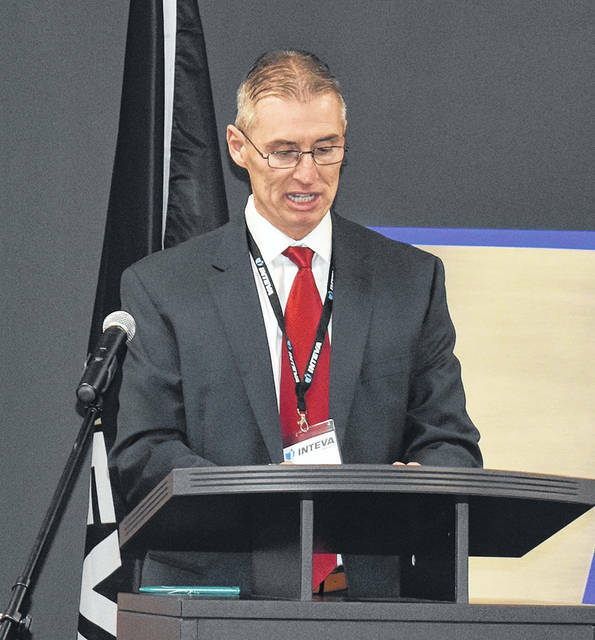 VANDALIA — Inteva Products, LLC announced plans to expand their research and development facility in Vandalia on Friday morning. The expansion will keep an existing 200 jobs in Vandalia while creating 35 new jobs in coming years. The decision to stay in Vandalia comes after company officials considered other locations in Ohio and other states before ultimately deciding to invest over $9 million in equipment and technology at the Vandalia facility. Inteva opened its Vandalia facility in 2011. The expansion was called a successful collaboration with the city working with Montgomery County, JobsOhio, and the Dayton Development Coalition to provide incentives to stay in the area. The company received a $50,000 grant from the Vandalia Development Corporation, $70,000 through the Montgomery County Economic Development/Government Equity (ED/GE) Grant program, and a $3 million grant from JobsOhio’s Research and Development Center grant program. Inteva’s Interior Systems product line includes a full range of components and modules for vehicle interiors, from instrument panels, consoles, and door trim to cockpits and headliners. Inteva designs, engineers and manufactures quality, mass-efficient interiors with a focus on high-value design and innovative materials and processes. Inteva provides full design development and system integration services; combined with complete supply chain management, build in line sequencing and end of line function testing capabilities providing customers with optimized vehicle assembly efficiency.